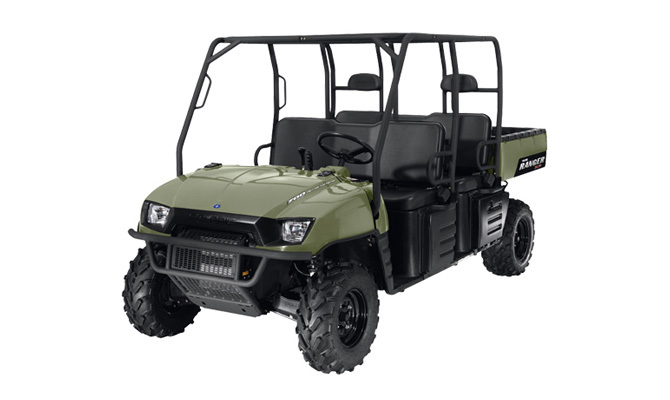 The Polaris Ranger is another popular choice for the worksite, farm, ranch, or outdoor adventure. The Polaris Ranger series began it's life back in 1997, and it is one of the most popular utility vehicles capable of both work and off road play. Different engine options are available including a single cylinder 499cc liquid cooled engine, and a twin cylinder liquid cooled 683cc engine. Models feature a CVT automatic transmission with high/low gear ranges, which provides the ability for both low gear grunt work and high speed transport.